A highly respected optometrist who earned his degree from the Pennsylvania College of Optometry in Phildelphia, PA, Dr. Greenberg has practiced family eye care since 1982. He started his practice in New York City providing care for patients that included Harry Belfonte, Diane Sawyer, Keith David and Abe Vigoda (Fish), among others. 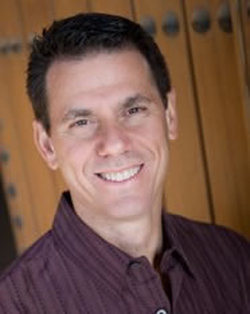 In 1995 Dr. Greenberg relocated to the Phoenix area. Dr. Greenberg is married to Mary and has a daughter Gabrielle and son Spencer. He is committed to his private practice, where he provides state of the art care in a personalized, professional environment. Known for his extensive work in the contact lens field, Dr. Greenberg has also played an integral role in numerous studies for several major contact lens manufacturers for Food and Drug Administration approval. In addition, his credentials include teaching some of New York's finest interning optometrists the intricate knowledge about contact lenses and their delicate fitting characteristics. He was instrumental in helping them learn how to incorporate the skills taught in clinic into private practice. The professional staff at Ancala Eye Care understands how important your vision is to you.